It is probably exciting enough to see the Whale Shark in the massive fish tank, however, we would like to introduce you some other spots in Okinawa Churaumi Aquarium you must not miss out! Those recommended spots are extraordinary and will not only be exciting for the children but also for the adults. 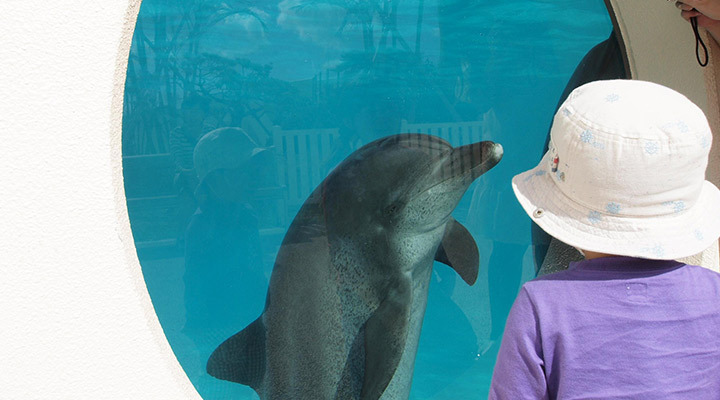 The Dolphin theater and lagoon are located on the sea side separated from the Okinawa Churaumi Aquarium. 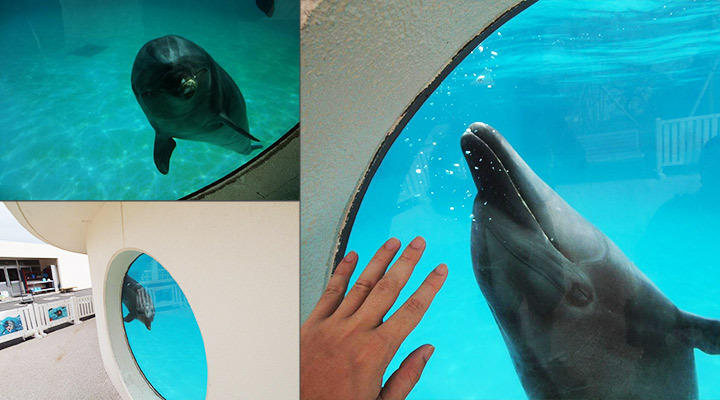 In here, visitors get to see the dolphins performance and dolphins while they are practicing and taking a rest. What is really exciting about this spot is that, you may get to communicate with the dolphins. 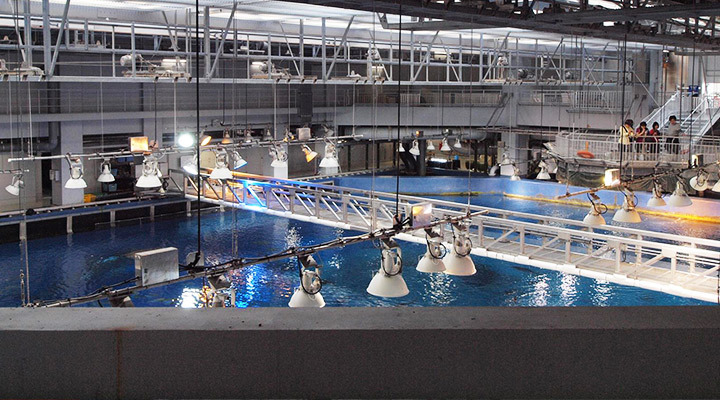 There is a window on the left hand side of the tank, where visitors get to see the dolphins. If you are lucky, you may get to say hi to the dolphins. When you wave your hands up and down the dolphins may say hi to you by nodding their heads. *Please check the official website for any closure notice due to construction. 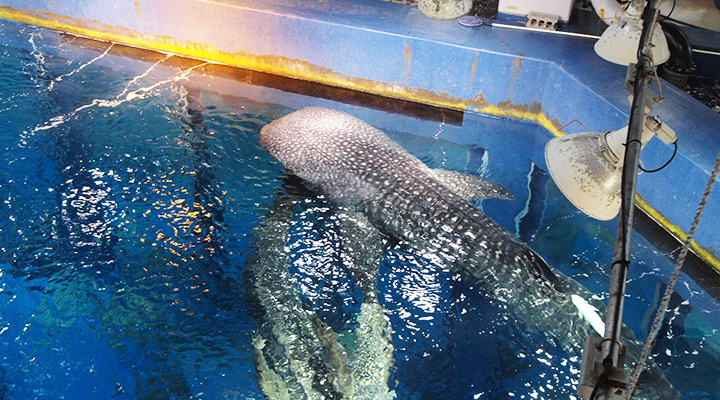 In the Kuroshio Sea Tank, there are whale sharks, manta rays and many other fish. 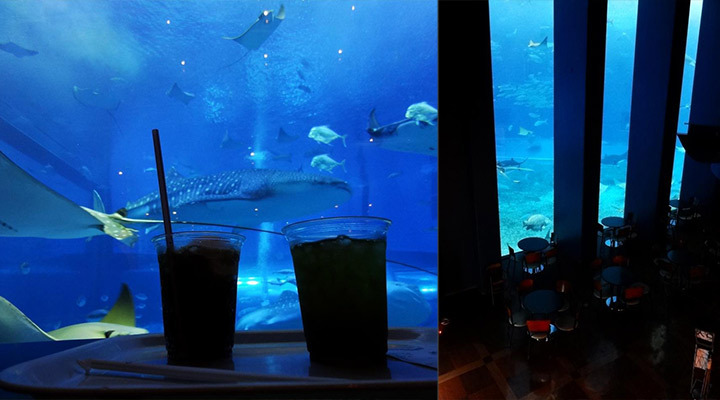 You get to enjoy watching those incredible marine animals while having your tropical drinks. 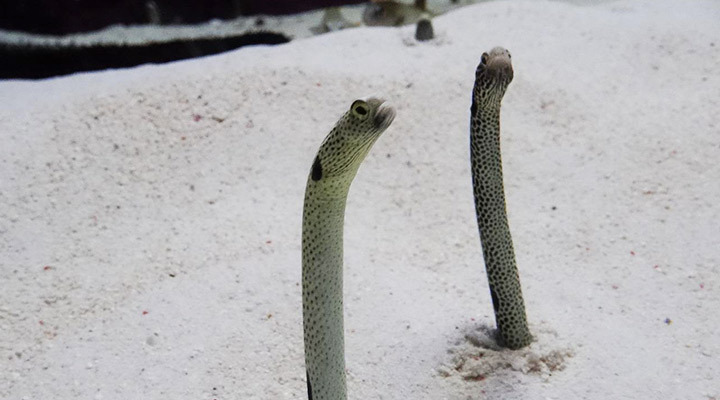 It is one of the most popular spots in the aquarium as you can imagine, hence it may always be crowded. However, here is one advice we would give you. Make it your first stop once the aquarium is open before seeing other fish. And then after chilling at the cafe you can always go back to view other fish tanks. You are not only allow to view the Kuroshio Sea Tank from the thank acrylic, but also directly from the top without any obstruction in front of you. It is fascinating when the Whale shark swim just beneath your feet! 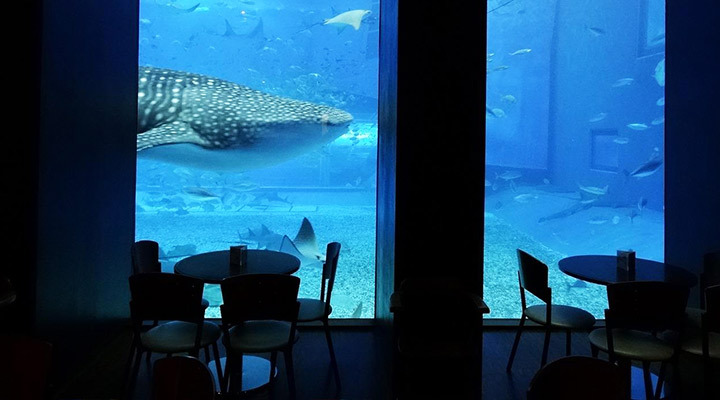 It would feel like you are sailing the ship in the ocean while the whale shark swim pass you! One thing to keep it in mind though. The observation course only open from 10:00-14:30 and 17:30 until close, so make sure you go during those times to avoid disappointment! 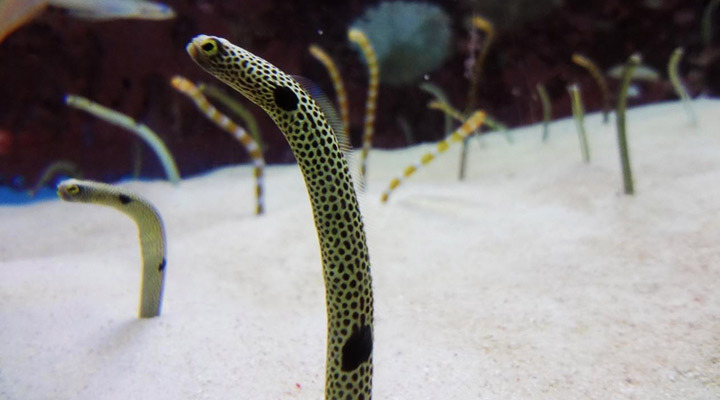 They are known as the idols in Okinawa Churaumi Aquarium. Those cuties also have merchandises such as Soft toys and magnets. They are irresistible cute, please don’t forget to check them out! They are shown in the individual carol tanks, you may notice them from the crowd of people trying to take photos of them. Tropical Dream Centre is located inside the Ocean Expo Park, which is about 15 minutes walking distance from Okinawa Churaumi Aquarium. 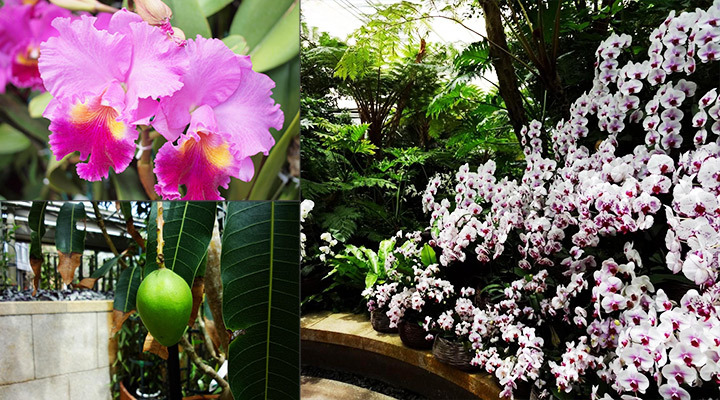 visitors can walk around in the garden, as if they are on a tropical island. 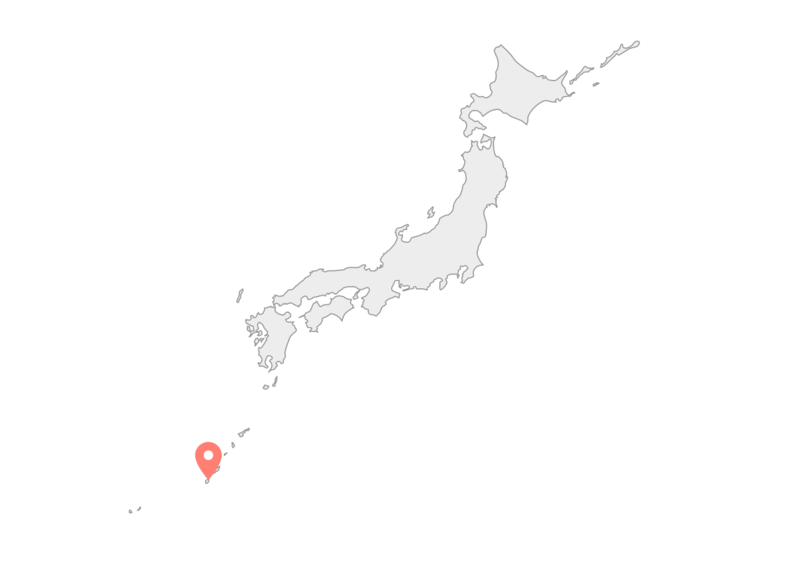 Moreover, depending on the season, visitors may see tropical fruits and some unique fruits you can not find in the main island (Honshyu) Japan. 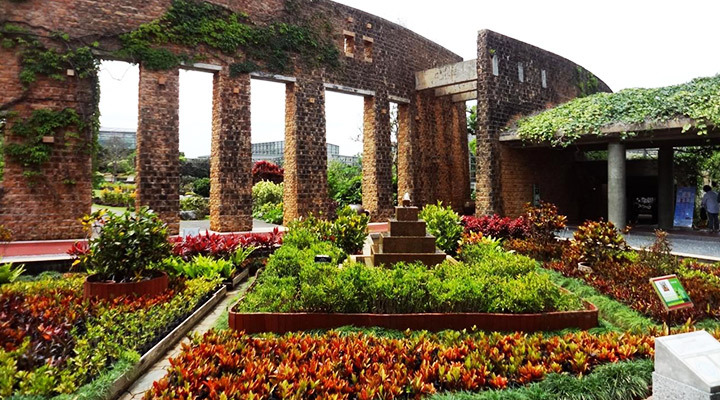 Some visitors commented that the garden feels like a Laputa (castle in the sky). 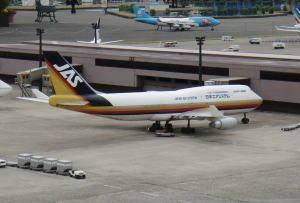 It may be a good idea paying it a visit after Okinawa Churaumi Aquarium. One advice from the expert is that most gardens are outdoor, so make sure you bring your hats and sunscreens! It is a nice and cosy cottage surrounded by Garcinia. Unlike other resort hotels, you get to have more privacy and quiet space to yourself. 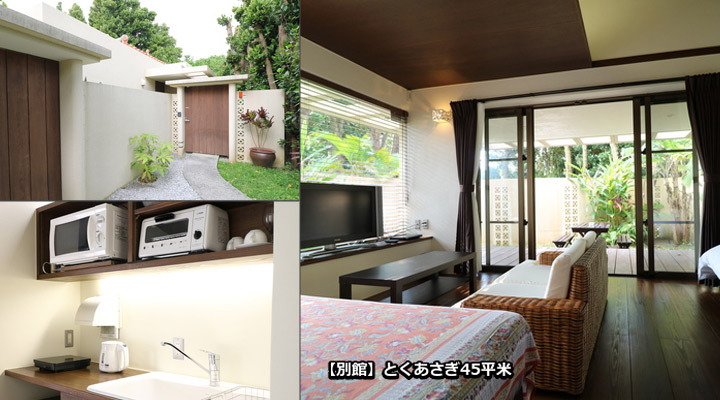 Comfortable space with luxury facilities, which allows you to have a quality stay in Okinawa. It will be a sensational stay, which you can only experience here in Okinawa! 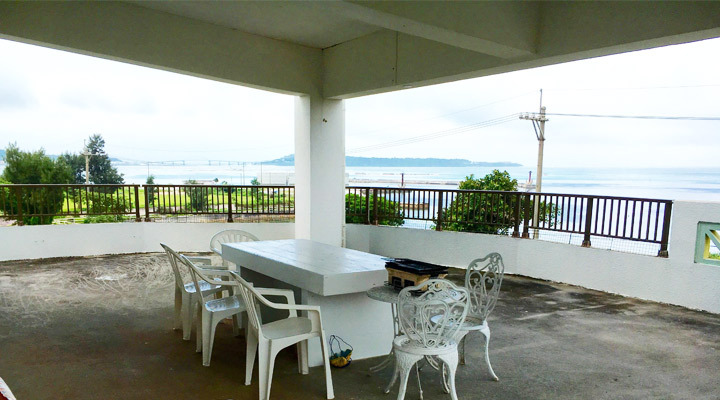 The guest get to stay on the third floor of a condominium with a terrace available. From the terrace you can see the Sesoko island and Min-na island above the horizon. You can see the blue sky and emerald green ocean just from your bedroom, it will definitely be a memorable experience for you. Wether it’s in the morning or at night, you can enjoy walking by the beach or take a walk to Ocean Expo Park.